It provides firm grip in compact shape, widely used in rope access (arborist, rescue, working at height, etc.) to keep body upright and most important, add protection during working. Ascender, functioned by tooth cams, moves freely smoothly up rope and clamps to rope when pulled down. 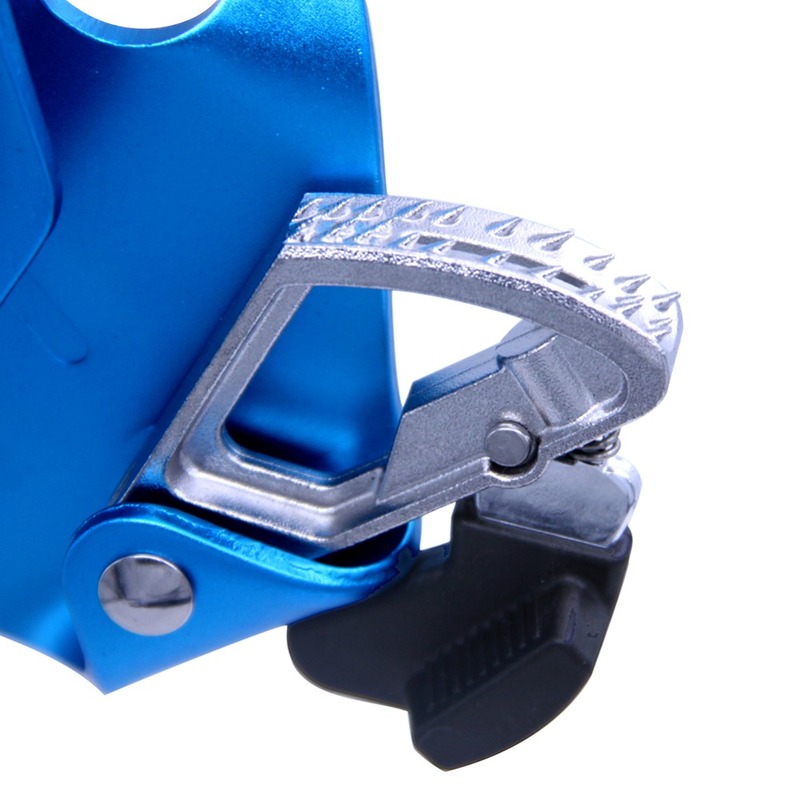 In both higher and lower end of ascender, exists a slot for carabiner or other gears to connect. Fits ropes from 0.315in(8mm) to 0.472in(12mm). Conform to CE EN 567 and CE Certified.